Several insurance companies offer health coverage policies in India. Furthermore, every insurer offers different types of health plans. These include individual policies, family floater, group insurance, and critical illness cover. Most family plans cover you, your spouse, and up to two dependent children. However, some insurance companies offer comprehensive coverage where your dependent parents are also included. Therefore, a single health insurance plan covers you, your spouse, two children, and parents. In comparison, individual medical insurance plans cover only you. Therefore, the entire sum assured under the policy is available only to you as the insured. However, you may purchase an individual policy for each of your family members with the same or different sum assured. It is recommended if a person in your family requires higher coverage, you must avail of a separate individual plan for him. Here are three individual mediclaim policy benefits. In case of an emergency medical condition that requires hospitalization, an individual plan provides with cashless services. This means you do not have to pay money to get treated for your medical condition. However, cashless hospitalization is available only in healthcare facilities within the network of your service provider. The insurer directly settles the hospital bills. Several insurance companies offer allowance for each day you need to stay in the hospital. The maximum number of days when you receive this daily allowance is predetermined in the policy document. This money may be used for any purpose and is beneficial if you are the primary earning member of your family. The premium paid on health insurance is eligible for tax benefits under section 80D medical insurance heading. The maximum benefit is INR 15,000 for individuals and INR 20,000 for insured over 65 years. In addition, you may enjoy up to INR 15,000 benefit for the premium paid to cover dependent parents under the health policy. In this type of insurance, all members of the family are covered under a single insurance plan. 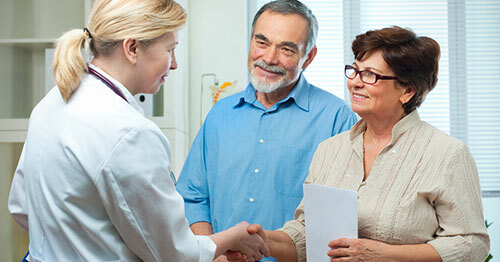 Here are four benefits of family health insurance plans. Depending on certain factors, you may be able to enjoy discounts on a family health plan. It is a simple and hassle-free way to secure the financial future of your loved ones. Some of the medical insurance plans for family offer attractive features, such as maternity and newly born baby covers. However, you may have to wait for the waiting period to avail of these additional advantages. When you opt for an individual plan, you need to purchase a new policy to add new members. However, it is very easy to add new members to an existing family floater plan. In the unfortunate event of the primary insured passing away, the other adult family member may continue the plan without the loss of the benefits. Some insurance companies offer the option to buy the insurance plan for a period of two years. This means you and your family members enjoy continuous coverage at the same premium during the tenure. You may choose health insurance policy and plans from various insurance companies. However, it is recommended you conduct extensive research before making the decision. It is important you understand the inclusions and exclusions and all terms and conditions of the policy to avoid unpleasant surprises in case you need to file a claim.